CANTON, Mass. 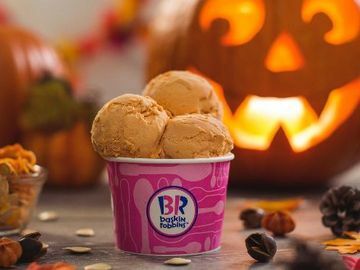 (September 2, 2014) – Baskin-Robbins, the world’s largest chain of ice cream specialty shops, is helping guests get ready for the fall season with its new September Flavor of the Month, Pumpkin Cheesecake. This new addition offers a twist on classic fall flavor favorites and features pumpkin and cheesecake-flavored ice cream, ginger snap cookie pieces and a cinnamon cream cheese ribbon. German Chocolate Cake: Swiss chocolate ice cream with coconut, walnut pieces, fudge brownie pieces and caramel ribbon. Peanut Butter ‘N Jelly – Peanut-butter-flavored ice cream with grape jelly and peanut butter ribbons. Quarterback Crunch: Vanilla-flavored ice cream with rice crunchies in a chocolate-flavored coating, and a caramel ribbon. 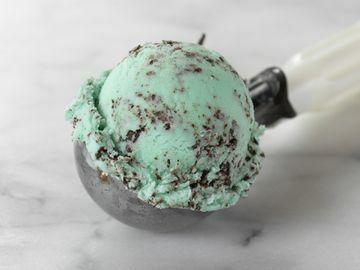 S’More the Merrier – Marshmallow and graham cracker-flavored ice cream that features milk chocolate chips and a crunchy graham cracker ribbon. 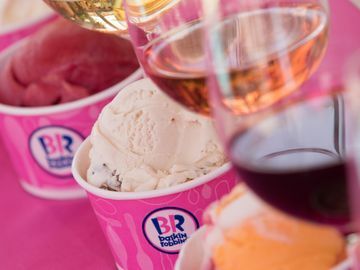 September is one of the most popular birthday months of the year, and Baskin-Robbins is helping guests celebrate birthdays nationwide with its Too Cute Cupcake Cake and Celebration Party Cake. The Too Cute Cupcake Cake is an oversized cupcake made of ice cream and cake. The Celebration Party Cake is a streamer- and confetti-topped cake that is a colorful addition to any birthday party. 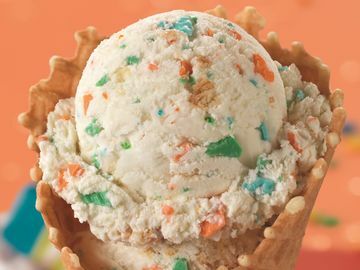 The cakes can be customized with a guest’s favorite ice cream and cake flavors, and can be ordered at participating Baskin-Robbins restaurants nationwide or online through Baskin-Robbins’ online cake ordering website. The Pumpkin Cheesecake Flavor of the Month can be enjoyed by the scoop, in an ice cream cake or as a milkshake and is also available in fresh-packed containers for guests to take home and enjoy with family and friends. Through the end of the year, guests can also upgrade their double scoop of ice cream with a free freshly-baked waffle cone. 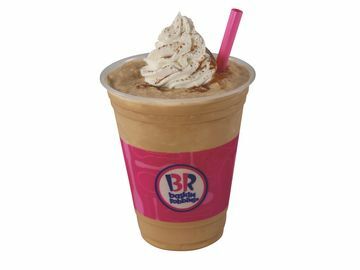 For more information about Baskin-Robbins’ range of ice cream flavors and frozen desserts, visit www.BaskinRobbins.com or follow us on Facebook (www.facebook.com/BaskinRobbins), Twitter (www.twitter.com/BaskinRobbins) or Pinterest (www.pinterest.com/BaskinRobbins31).